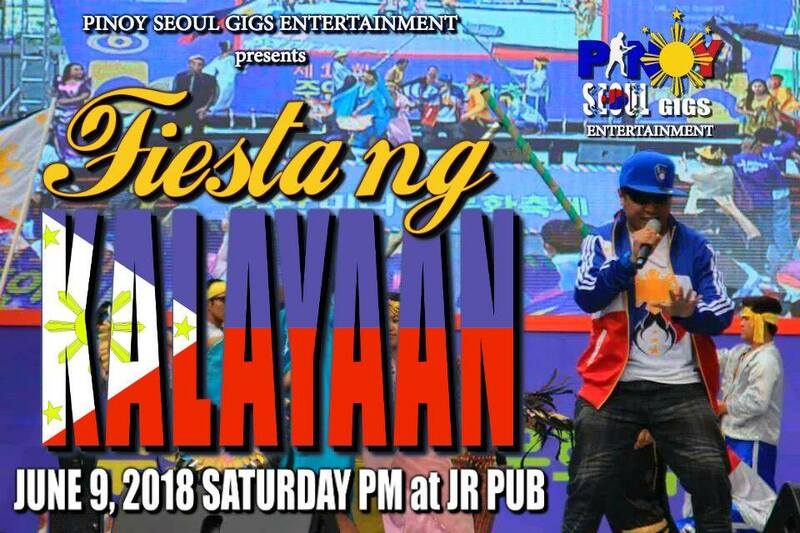 Come and lets celebrate the 120th Philippine Independence Day in Seoul together with talented Filipino performers, bands, dancers and singers. Mark you calendars as we bring you total entertainment on this years araw ng kalayaan in June 9, 2018 8:00PM on JR Pub Itaewon Seoul, South Korea. This event is brought to you by, Pinoy Seoul Gigs Entertainment and K-PAP Korea Pinoy Artist and Performers.